Jimmy Snuka is tainted. His legacy is tarnished. This is not due to his recent 3rd degree murder indictment for the 1983 murder of Nancy Argentino, Snuka’s former girlfriend. That is just another symptom of the problem. The indictment might have taken 32 years, but the problem since that night in 1983 is that Jimmy Snuka’s actions led to her death and everyone knew it then as they know it now. Obviously I am not talking about the fans. This was not public knowledge beyond the internal wrestling sanctum until much later, and even then it was rarely addressed in IWC, message boards and post forums. But the bookers knew and the wrestlers knew and it really did define Superfly Jimmy Snuka’s career. On May 10th 1983, Jimmy Snuka may or may not (see did) have something to do with the death of his girlfriend. The police investigated it, and found they were unable to charge Jimmy Snuka despite the two dozen cuts and bruises, and an autopsy that said “likely mate abuse”. The pathologist said that Argentino’s death should be investigated as a homicide. When Snuka wasn’t charged, the case went cold and Jimmy Snuka was off the hook. This is when Jimmy Snuka’s career took off in the WWF. 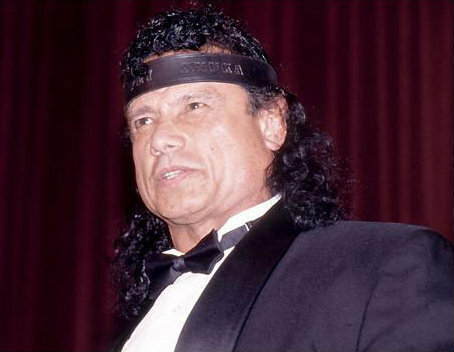 Before the 1983, Snuka was a “wild Samoan” in WWF managed by Captain Lou Albano. Starting in 83, Snuka started doing the moves that no one else could do at the time. His Superfly splash made him stand out and made him a popular baby face for the pre-Hogan WWF. What followed was a year of Snuka defining his career. Two moments would be shown often as highlights of not just Snuka’s career but WWE in general. The first was the famed Superfly splash from the top of the cage. Don Muraco, also at his peak, was playing the cocky intercontinental champion and Snuka played the challenger. This was Snuka’s first and only attempt at championship gold in major organizations. It was his coming out party as a major talent and this moment solidified him a potential main event star in pre-Hogan/beginning Hogan times. Snuka’s “spectacular” splash also became even more important due to Mick Foley. Foley was in attendance, and that coincidence has been documented over and over by the WWE storytelling machine. Snuka’s second most important moment did not even happen in the ring. In a moment that would help to define another Hall of Famer, Roddy Piper hit Snuka with a coconut. Roddy Piper was one those talents ahead of his time. The coconut was “attitude” enough to make it memorable for generations to come. In their feud, Snuka did help legetimize Piper as a top heel. He got through Snuka and was ready for Hogan come 1985. This marks the end of Snuka’s run as a top player. In 1985, former girlfriend, Nancy Argentino’s parents won a $500,000 default judgment against Snuka in U.S. District Court in Philadelphia. While this was a civil suit, it did have an effect on Snuka’s career. Similar to O.J. Simpson being forced to pay the Goldman family, Snuka’s judgement proved that he was financially liable (IE involved) in Argentino’s murder. Legally, he,although not convicted would be “accepted” as a cause of her murder. Snuka’s push collapsed under the weight of this judgement. At the first Wrestlemania, Snuka was relegated to the role of manager in the main event. While a decent position, it limited his exposure in the largest stage to that date for the WWF. 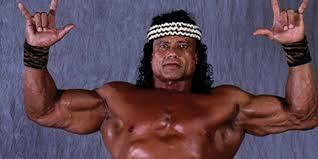 Snuka proceeded to fade out of the limelight until leaving at the end of 1985. It is impossible to look at Snuka’s slide into obscurity and not see the Nancy Argentino case as the cuplrit. BTW, Snuka appears not to have ever paid his judgement, claiming financial inability to do so. Jimmy Snuka’s career as a large player was dead in 1985. 1986 and on, Snuka bounced back and forth between the last few territories left in the late 80s but never reached the modicum of success he did in WWF. Even his return to the organization in 1989 was a flop. Snuka spent most of his time in the lower card, having his last memorable moment being the first victim of the Undertaker’s streak. After his last run in the WWF, Snuka faded to wrestling in lower independents including the original ECW (Eastern Championship Wrestling), reuniting with Don Muraco. This last hurrah did nothing to revitalize The Superfly’s career. The innovator of the flying splash ended his career more with a whimper than it did a splash. On September 1, 2015, 32 years after the incident, Snuka was arrested and charged with third-degree murder and involuntary manslaughter for Argentino’s death. Snuka’s legacy will be permanently damaged from this incident. It is the last nail in the coffin of a promising career ruined by anger, and bad real life moves. I’ve rated Snuka fairly low in the Hall of Fame scale. I really see him as a memorable one or two trick pony. No actual success outside of the WWE. Biggest question is if Jimmy Snuka in his current state is convicted, should he be permanently removed from the Hall of Fame? Why did WWE induct a would be murderer? Did everyone forget? More Samoans. We may see Samu or Rosey or Tonga Kid eventually. Also opens the door for more character or gimmick induction. (Santino Marella Hall of Famer) Will be interesting to see if Val Venis eventually gets in. He is about the same level. 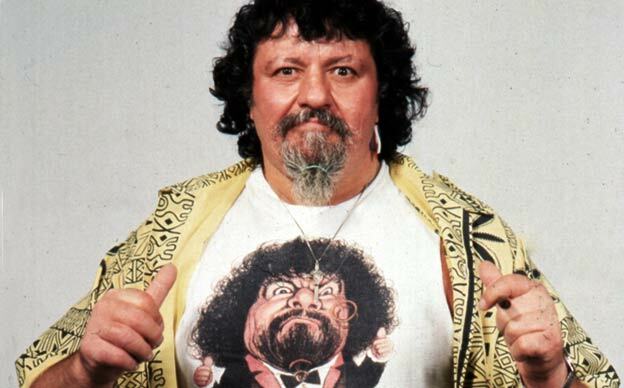 Captain Lou Albano is one of a kind. He was loud, obnoxious and tons of fun. He could take anything and turn on that natural it factor and make it his own. Take a listen to Captain Lou singing what with him would be the worst song in history. On top of all of that, he was the perfect type of manager. Especially when he was heel. JJ Dillion has said during the Legends of Wrestling Roundtables that the best manager is one who manages like a wrestler and wrestles like a manager. Captain Lou did both. 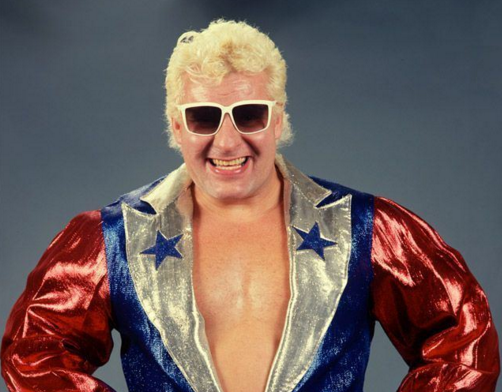 He in his own right, was a decent mid card wrestling talent in Captiol Wrestling and early WWWF. 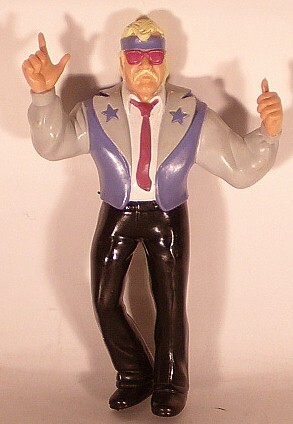 But as a manager/wrestler, he was hilarious. I can’t mention Lou Albano without showing the Super Mario Supershow Intro. Captain Lou is insane and I love it. 1996 marked the end of the WWE Hall of Fame Ceremonies for almost ten years (until 2004). It was also one of the most mixed induction classes. Johnny Rodz and Mikel Scicluna are two of the weakest inductees in history. Still Albano fit into a cetegory which had been in both previous years, the manager. Freddy Blassie and The Grand Wizard went in already and Albano was the next in a list of well known 70s and early 80s managers. Plus he had just finished managing the Face Headshrinkers in his last managerial role for the organization in 1995. Perfect timing! 2nd or 3rd tier managers in the organization (funny that Albano who is better than many who followed him, could be considered 3rd tier) Possibly a Slick level manager may go in. Albano doesn’t seem super well respected in the business. 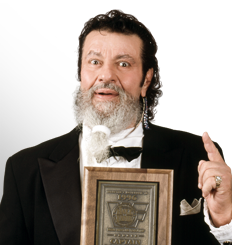 Bobby Heenan’s induction speech joke about “And Lou Albano wouldn’t be fired” is a rib about how everyone views him. I understand. Captain Lou Albano is probably crazy. Batshit crazy.